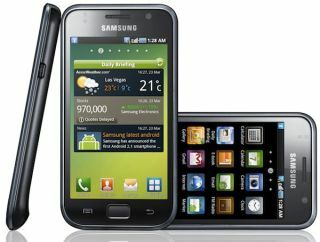 T-Mobile seems set to be next up to offer next generation functionality to its Samsung Galaxy S customers with the release of Android 2.2. The Support Forums for the pink network have received word from operator that the update will be coming, and in a strange turn of events, making it available over the air. "Our handset team have been working closely with Samsung regarding this update and future updates and would like to share their news with you. "Our goal is to make the update process smoother and we are working to become the only mobile operator offering FOTA (Firmware over the Air) updates for the Samsung product range. "The aim was and still is to have the FOTA update available at some point today. If for reasons outwith our control we are unable to have a FOTA update process fully functioning by close of play today, then we will make the update available for download via Samsung KIES." We're still waiting to hear word of whether this has actually happened for anyone as yet, with Twitter still quiet on the subject, so perhaps the over the air issues are slowing things down. The Galaxy S update is more pivotal as it will likely include fixes to the phone's operation, which include slowdown on certain applications opening, which can become very frustrating for users.